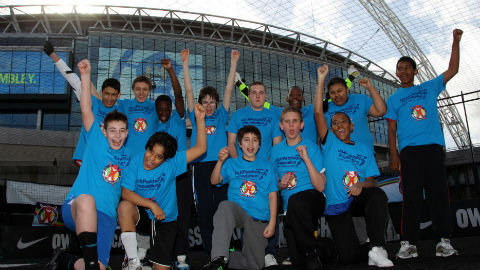 A team of disabled children representing Hackney claimed victory at Panathlon’s annual football tournament in the shadows of Wembley Stadium. The Hackney team, who qualified for Thursday’s finals in November, beat off competition from 23 other London boroughs to take home the trophy. In what was a proud and inspirational day for all involved, the youths were given a chance to display their skills, compete and gain confidence in a fantastic setting with the support of international sports personalities. 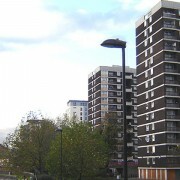 The final was held in the shadow of Wembley Stadium, at the Powerleague five-a-side pitches, as Hackney beat six rival teams in what was an exciting showdown. The Panathlon Foundation, a charity that aims to give opportunities to severely disabled young people in 17 countries across the world, organised the Panathlon Challenge event – which has proved to be their most popular football tournament to date. The winner of the tournament had to be decided by goal differences after three of the competing teams tied on points and wins. As well as being held at the iconic Wembley Stadium pitches, special guests Ben Lampert, midfielder from England Deaf team, and Josh Beacham, from England Cerebral Palsy team, came along to the event to meet the young players. The Panathlon Foundation plans to invest more than £250,000 in sports equipment and coaching funds across London, Kent, Surrey, Essex and other areas in 2014. The foundation also hosts regular competitions across the UK year round, providing great sporting opportunities for disabled young people.